The Uganda Cranes arrived in the country on Monday morning, from their training camp in Niger. In the West African country, the Cranes took part in a camp in which they played two international friendlies games against home side Niger and Central African Republic (CAR). 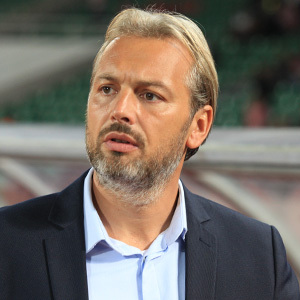 There was not much to jubilate about for Uganda as they lost both games by a one goal margin, leaving many football die hards starting to question whether or not, head coach Sebastien Desabre is the right man for the Job. However, the Frenchman who was appointed as head coach back in December 2017 thinks otherwise. “It is was difficult throughout the two games because the conditions were very poor outside, said Desabre. “I am very sad about the football that we saw and I think for the first time in my life I saw an offside following a goal kick but after that all, we need to stay focused as a team. “It was impossible to win especially on Saturday because the referee was very poor despite our team showing very good spirit especially in the second half. “The first 15 minutes of the first half on Saturday were difficult to impose our self but after; I think we tried again to play football. “Tactically, I know it is starting to happen but was also sad for Farooq (Miya) because he had a very good chance to level the scores but it’s not easy in such conditions. “It is necessary to have such camps in order to work the equation and ensure the discipline and after all this time, am not afraid for September. “I know my team now and the objective we have in the next step so I think amongst the three teams in the tournament, we were the best team during the matches despite losing both games. “But like I said, the conditions away in Africa are not easy so we will concentrate on the next step. “During this time, i saw many players that I had not seen before in the national team like, Shaban (Muhammad), Opondo (Moses) and Edrisa (Lubega) who are all young players. “We need to take some experience in the National team and after these six months, I have my team clearly. “We are now set for the Tanzania game which will be at home. “We want to play with energy in that game and I think we will. 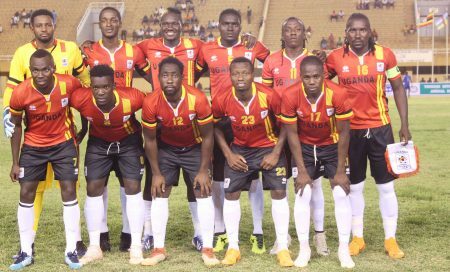 Uganda will have a busy end to the year that will see them take on Tanzania on the 7th of September before a double header against Lesotho in October. The Cranes will end the year with a home tie against Cape Varde on 16th November, whom they defeated 1-0 in the first game of the campaign courtesy of a Geoffrey Serunkuma goal with seven minutes to the end of the game. The Cranes lead group L with three points from on game played so far. The team that was in Niger for the training camp. Strikers: Emmanuel Okwi (Simba-Tanzania), Yunus Sentamu (KF Tirana-Albania), Shaban Muhammad (KCCA FC-Uganda) & Edrisa Lubega (Floridisdorfer AC-Austria).